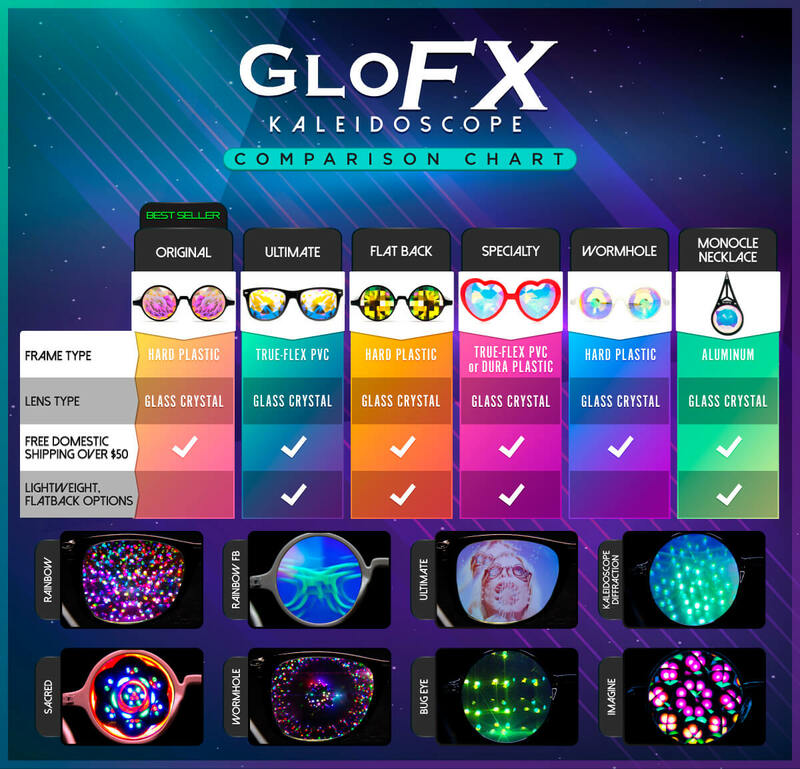 The Sacred Kaleidoscope Glasses are truly unique and in its own category. I find that I can see very well through these, with the option to gaze at different panels for color and perspective changes. The layer outside of the center hole has a kind of blurrring and bending effect on things. The glasses themselves are perfectly crafted and fit amazingly on my head with no issues of them falling off. I enjoy wearing these as a base with the Ultimate Kaleidoscope glasses on top, giving me a seriously trippy combination of visuals. Walks with these are very enjoyable thanks to the Center “wormhole” viewing panel. A relaxing and beautifully colored crystal lens! Perfect for my collection!